PepsiCo has boosted the usage of recycled PET in its packaging by 23% to 134 million pounds in 2014. ALBANY PepsiCo, in its annual sustainability report released recently, has stated that the company has boosted the usage of recycled PET in its packaging by 23% in 2014. The company used 25 million pounds more recycled PET in 2014, when compared with the previous year. The recycled PET usage during last year totaled 134 million pounds. Also, recycled PET accounted for almost 8% of the company’s total PET usage. The company used nearly 83% of the recycled PET in bottles sold in the US, another 14% in bottles sold in Germany and the balance 3% in bottles sold in France. The amount of recycled PET used in Germany surged higher by 85% to 18.7 million pounds during 2014. The Sustainability Report states that PepsiCo is committed to increased usage of post-consumer content in its packaging. However, it faces severe challenges with regards to the availability of such materials, owing to their close dependence on recycling market. The company has already started working on plans to boost its share of post-consumer materials from what is currently available in the market. 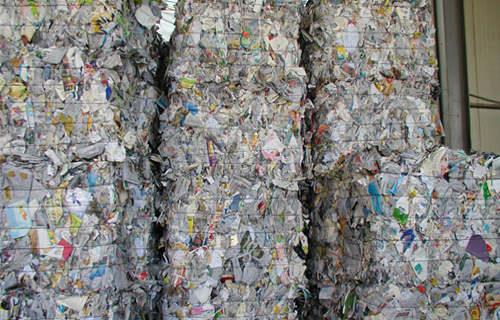 Also, it intends to implement easier recycling technologies and to boost consumer recycling rates. As part of its environment sustainability measures, PepsiCo has reduced its water use per unit of production by 23% than in 2006. The company has also achieved its goal to provide access to safe water to as many as 6 million people by 2014. It also achieved 16% reduction in energy use per unit of production when compared with 2006 levels. The company also eliminated over 89 million pounds of packaging material from the market and has also reduced packaging costs by more than $48 million across their global food and beverage operations. PepsiCo Inc. is an American multinational food, snack and beverage corporation headquartered in Purchase, New York, United States, with interests in the manufacturing, marketing, and distribution of grain-based snack foods, beverages, and other products.